This is a delicious, melt in the mouth and incredibly easy to make recipe to boot. 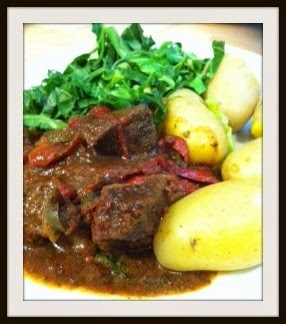 Was inspired by the Coleman's Slow Cooker sachet, but objected to the Syns. So created my own version. As I said, chuck it all in, stir and leave for as long as you. I had this with steamed greens and new potatoes, but it's very versatile. Try it with spicy couscous. Or baked or mashed potato with plenty of superfree veggies.